We know him from his vividly drawn characters and plots. We know him from his deeply humanitarian outlook, especially compassionate towards children in the grips of harsh, abject poverty and cruel treatment. Even during his 19th century lifetime, Charles Dickens was acknowledged to be a prolific literary genius; the popularity of his works—especially his classic A Christmas Carol—has only increased from that century until now. Given the state of our world today, the time is ripe astrologically to revisit this “ghost of Christmas past” and his classic work. Dickens was born in 1812 in Portsmouth, England, where he grew up working to support his family instead of getting an education. Poverty wasn’t that unusual for the 19th century masses of people in early-industrial age Britain, but Dickens’ dilemma was unconventional in that his father was incarcerated in a debtor’s prison (a horrible institution that figured into Dickens’ Little Dorrit, among other works). As for today, the percentage of children growing up in poverty has reached new heights in the U.S. and abroad, with the horrifying crime of child trafficking growing to magnitudes the International Labour Organization has found impossible to track accurately. Children are literally being sold by their parents or kidnapped for slave labor and/or sexual exploitation. The organization “estimates 1.2 million children are trafficked each year.” Astrologically, there are real parallels between these periods that warrant consideration. If we are to believe his natal chart (below), Dickens’ curmudgeonly miser Ebenezer Scrooge (described above) perfectly evoked the troubled father figure in Dickens’ life. 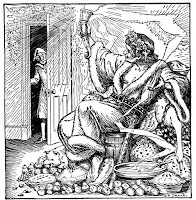 Dickens’ natal Aquarius Sun and Chiron are disposed by a harsh Capricorn Saturn. In his 4th house of home life, this Saturn points to not just a harsh, demanding parent, but also a stressful, restrictive, painful home life. This likelihood is reinforced by Saturn’s square to Aries Mars in the 7th. Interestingly, with both Saturn and Mars in ruling signs, and his Capricorn Mercury ruled by Saturn, Dickens was able to leverage those harsh energies to great advantage in his work. The plight of the impoverished working class of that period was his constant theme. · alternatively, the number of billionaires. We don’t need astrology to see that there is a connection between the items on this list: the economy and higher education are simply rigged against those who live from paycheck to paycheck, in favor of those on the very top, and this one dynamic generates all the other problems in turn. “…My spirit never walked beyond our counting-house -- mark me! -- in life my spirit never roved beyond the narrow limits of our money-changing hole; and weary journeys lie before me!" Sagittarius Sun conjoins the Galactic Center and Node, sextiles Aquarius Jupiter, squares Pisces Uranus and forms a grand trine with Aries Pluto and Virgo Chiron. This amazing complex of aspects points to the universal theme evoked with A Christmas Carol and the enduring spiritual power of that theme. The Sun-Pluto-Chiron grand trine reflects, on the one hand, the painful wounds human beings inflict upon each other through entrenched power structures (and have done, throughout our evolution); on the other hand, it reflects the hopeful possibility of healing such wounds by disrupting the status quo (trine). We’ll see where the hope of change lies in the chart as we get to Saturn. Jupiter disposes the Sagittarius Sun, GC and Node from Aquarius, and is in mutual reception with Pisces Uranus. Jupiter plays “cosmic Santa” here, keeping the tone of the story light and uplifting, despite the grim situations portrayed. Jupiter in Aquarius also embodies the impulse to humanitarian justice, and Jupiter’s connections (discussed here and in the prior paragraph) radiate this goal throughout the chart. Jupiter conjoins Aquarius Neptune; Neptune is in mutual reception with Pisces Uranus. The amazing interdependence of these three planetary points reinforces the power of Dickens’ message and can be summed up in two key concerns of Pisces—compassion and finding joy in living. Expansive Jupiter is captured aptly in Dickens’ “Ghost of Christmas Present,” with his exuberant excesses. 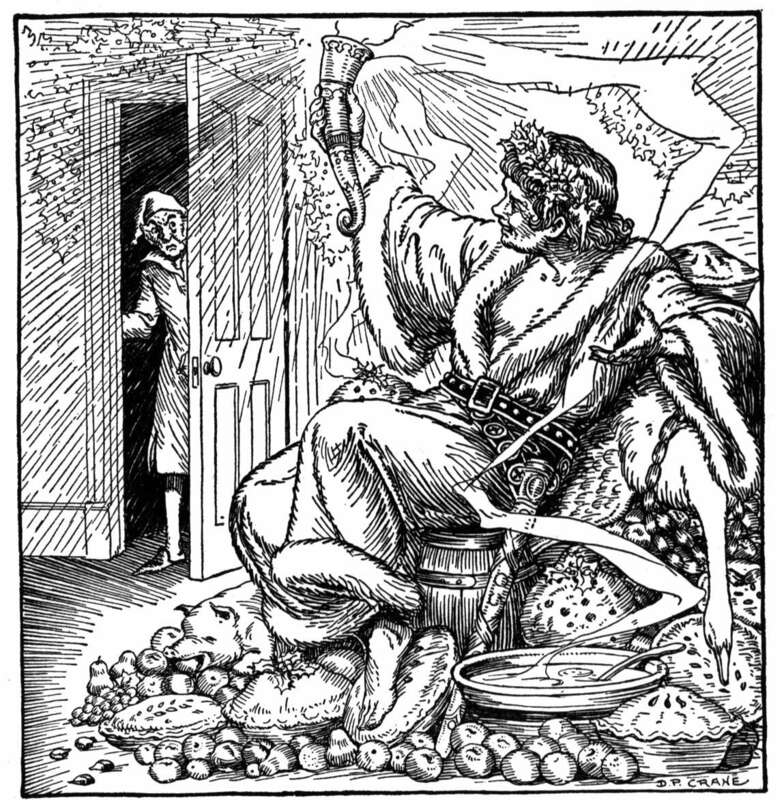 The custom of feeding and tending other needs of the poor during holiday seasons became embedded in Western culture during Dickens’ Victorian era. 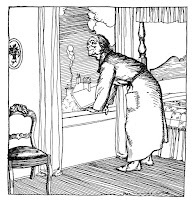 Making substantive changes to political and social policies that would render seasonal compassion less necessary is another story, although clearly, with these aspects, Dickens held out hope for such changes. Big changes did indeed follow this period, as the trade union movement in Britain and the Revolutions of 1848 in Europe ushered in more equitable labor laws and social policies. The 1840s were particularly focused on labor laws—including child labor laws—in England; a hopeful sign at the time, 1843 (the year A Christmas Carol debuted) marked the institution of a 10-hour limit to a child’s working day! Capricorn Saturn (widely conjunct Capricorn Venus) squares Pluto, sextiles Uranus and semi-sextiles Jupiter and the Sun-Node conjunction. In cardinal signs, Saturn and Pluto are especially focused on social change—usually carried out through the dismantling and “death” of existing social structures and the institution of a new order. 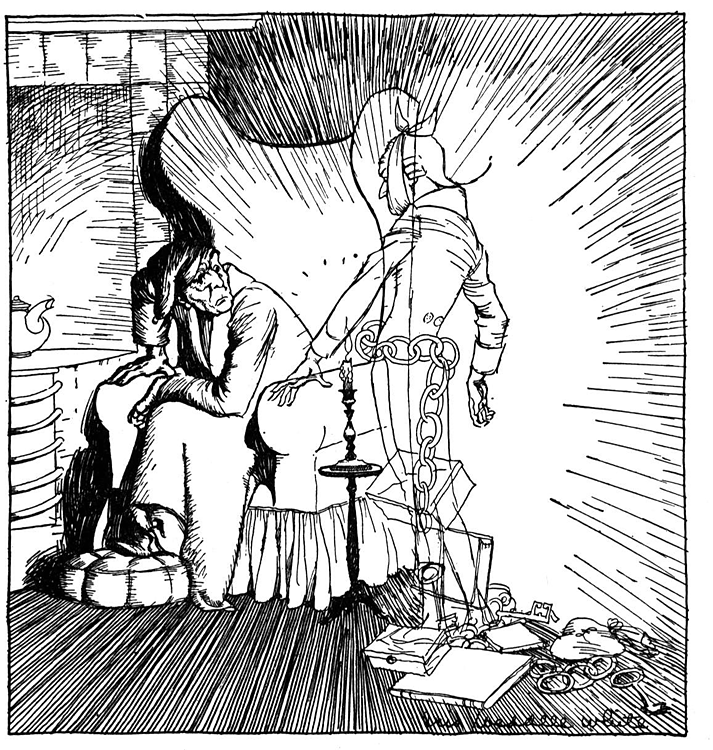 Dickens captures this deathly drive toward change with his “Ghost of Christmas Future”—the silent “shade” who points Scrooge to the consequences of non-action with a horrific, trembling finger. With Venus’ involvement here, the focus of social change would tend towards a more equitable deployment of resources. An opportunity was, in fact, opening up for a social revolution at that time (Saturn sextile Uranus), and this hard-nosed, waning Saturn-Pluto quarter delivered on it. Beyond this specific chart, the outer planet cycles of that period promoted revolutionary impulses as well: Saturn, Uranus and Pluto were co-travelers through the final degrees of Aries and Taurus during the late 1840s and 1850s (Uranus-Pluto began their new cycle at 29°+Aries in 6/1850; Saturn-Pluto began theirs in 6/1851 at 0°+Taurus; Saturn-Uranus began their new cycle at in 8/1851 at 4°+Tau). The pressure to provide social change and material well-being to the masses of people grew dramatically. It was high time (Jupiter-Node and Saturn-Node) for real change. 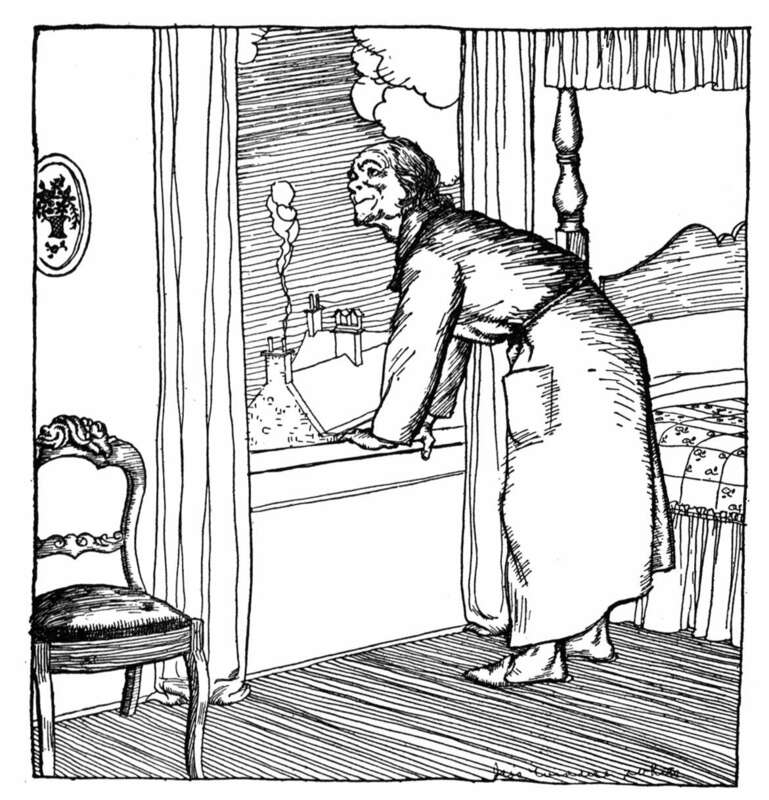 "No, no," said Scrooge. "Oh, no, kind Spirit. Say he will be spared." "If these shadows remain unaltered by the Future, none other of my race," returned the Ghost, "will find him here. What then? If he be like to die, he had better do it, and decrease the surplus population." 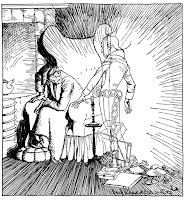 Scrooge hung his head to hear his own words quoted by the Spirit, and was overcome with penitence and grief. Merry Christmas to all, and a healthy, prosperous, peaceful New Year! Raye Robertson is a practicing astrologer, writer and former university English instructor. A graduate of the Faculty of Astrological Studies (U.K.), Raye focuses on mundane, collective-oriented astrology, with a particular interest in current affairs, culture and media, the astrology of generations, and public concerns such as education and health. Several of her articles on these topics have been featured in The Mountain Astrologer and other publications over the years. Raye can be contacted by comment here, or at: robertsonraye@gmail.com. © Raye Robertson 2015. All rights reserved.